On Monday major tree pruning took place in our community. 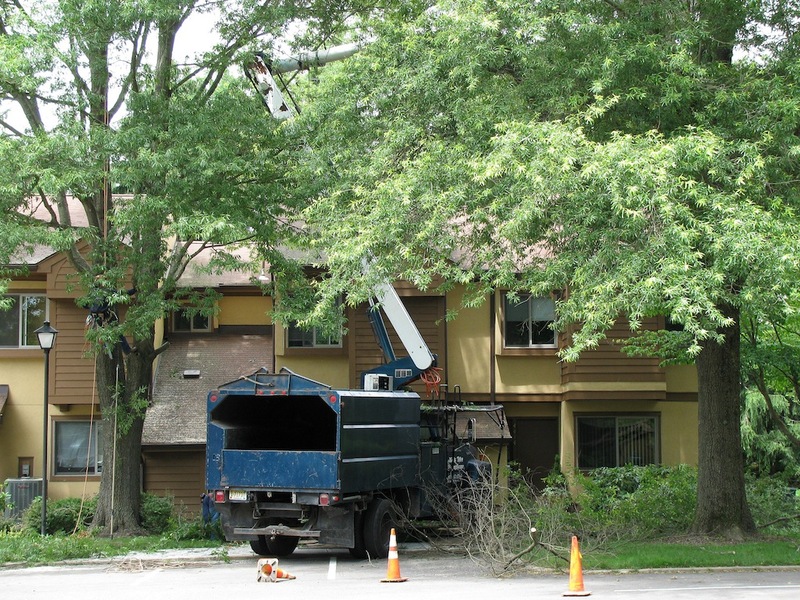 This work was so extensive, it involved heavy equipment and required clearing a parking lot. A truck was driven onto the lawns in front of homes. Residents had not been notified in advance of this work. If you were home, you were surprised, to say the least. If you were not home to move your car, work had to be done around it. How many times have homeowners in Princeton Landing been surprised by workers climbing across our roofs, plowing up our lawns, or digging through our gardens? In a community where we can send emails announcing bagels or pizza, why can't we inform homeowners ahead of time when work is scheduled at their homes?